Rafi Goldberg is a technology-centric policy analyst with experience in research, politics, and both federal and state government. He is currently a Telecommunications Policy Analyst at the National Telecommunications and Information Administration (NTIA), the Commerce Department agency that advises the President on Internet and communications policies. 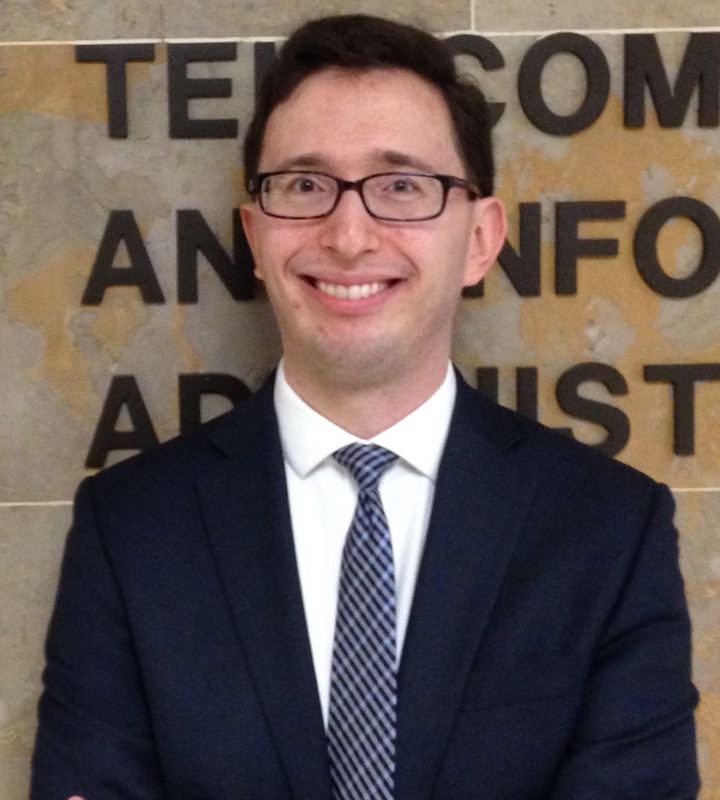 The broad scope of his work at NTIA includes examining data on computer and Internet use in the United States, as well as analyzing policy issues ranging from intellectual property to mobile device portability. Rafi has experience with a broad range of contemporary policy questions, including network neutrality, universal service, and competition issues. Rafi earned a Master of Public Policy degree at Georgetown University in 2011, with a concentration in environmental and regulatory policy. For his master's thesis, “Broadband Use and Civic Engagement,” Rafi analyzed survey data to find that broadband Internet use is a positive indicator of several forms of participation in civic life. Prior to attending graduate school, Rafi served in the Office of Massachusetts Governor Deval L. Patrick, where his primary task was vetting candidates for appointment to high-level Executive Branch positions. While at the Governor's Office, he led the development of a transparency-enhancing web site that details all seven hundred state boards and commissions to which the Governor makes appointments, and enables interested constituents to apply online for open positions. Rafi is a proud alumnus of Tufts University, from which he graduated in 2006 with a BA in Political Science. At Tufts, he successfully advocated for, and worked on the implementation of, a fund that awards stipends to students undertaking unpaid summer internships in public service. © 2016 Rafi M. Goldberg. Contact Rafi for more information.